HATE. IT. Cope means to struggle or deal with. It offers no sense of finality, no sense of winning, no sense of overcoming. Dr. Diane Stoler has some great treatments and ideas for healing the brain. She writes for Psychology Today and, again (to be clear), I like her work! I'm just talking about that word - COPE - and how powerful it is in setting the scene. You see, if you want anything, you have to believe you can get it. You really do. There has to be an iota of seeing a way to your goal. This concept is based on our brain's incredible neuroplasticity. The brain is flexible, will change according to demands, environmental exposures or lack of stimuli. You are the lever that turns on neuroplasticity. This is the why mindset matters so much. 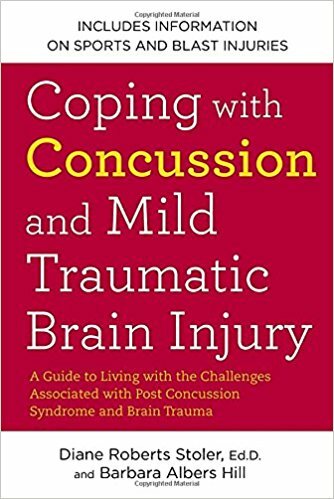 If you start with the belief that coping with post-concussion syndrome (PCS) isn't acceptable and that you will find a way to heal PCS by engaging the neuroplasticity of your brain - well, you will. Resistance will be there and you'll have to work through it. The half-gods will beckon you. They will tell you that "you can manage a headache everyday, it's not so bad", or "everyone has sleep problems, afternoon energy crashes and problems with concentration, I'm sure it's nothing" - they will seduce you with coping. You can see this everywhere in our culture. People are seduced into coping with a bad job or trying to manage an abusive relationship. Their mindset is limited, if not fixed. But you are meant for - built for - breakthroughs. Evolution made us this way. And you will see results, if and when you persevere. Mindset will get you there. Think giving up sugar is 'too hard'? That's a half-god selling you mediocrity. 'No sugar' is the realm of the Gods, and once you push through the initial resistance, not so hard, not so god-like. It might be the one step that will bring you back from the brink of migraines or low performance at work. What do you want? It's all on the other side of fear. It's behind the curtain of resistance. It's when you kick the half-gods out of your life that the Gods enter. So don't cope, manage, get by or live with. Kick in your evolutionary right - neuroplasticity - and change, grow, learn, challenge, confront, grapple with, push, strive and learn your way into a new reality.